The U.S. Federal Communications Commission has extended a deadline for comments on its proposed net neutrality rules to Sept. 15, giving members of the public more time to weigh in on how the government should regulate Web traffic. 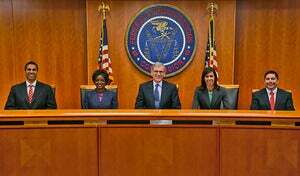 July 15 was the initial deadline for first-round comments on the FCC’s proposed rules. It was extended to July 18 after a flood of last-minute comments came in and the agency’s Web form crashed. Now, the deadline for replying to comments has been extended from Sept. 10 to Sept. 15. The change was made “to ensure that members of the public have as much time as was initially anticipated to reply to initial comments in these proceedings,” the agency said on Friday. The agency is seeking comment on possible pay-for-priority business models for Internet service providers. It has already received more than 1 million comments, with many opposing a Web “fast track” that would prioritize content and service providers who pay more than others. In addition, many commenters have called on the FCC to treat broadband providers as common-carrier utilities, criticizing any rules that would selectively block or penalize traffic. Comments can be submitted by anyone on the FCC’s page here, via email at openinternet@fcc.gov, or by physical mail. Net neutrality may have been an esoteric topic at one time, but awareness around it—and how it might affect businesses online—has grown. In June, comic news commentator John Oliver rallied support for net neutrality with a YouTube video that went viral. The sheer number of comments the agency has received is telling. Currently, it’s on par with the 1.4 million comments the FCC received after singer Janet Jackson’s infamous “wardrobe malfunction” during the live broadcast of the 2004 Super Bowl.